Our journey through the Core Days of the calendar are almost over. We’ve been redefining our Self by the new way we can approach life, applying our Spiritual Authority to conquer life’s challenges. We’ve been learning how to stand on our own to manifest Miracles in our life. The 7th uinal is a walk that balances us between the Above and Below. We may not have noticed the change in our Self, though our Consciousness is about to shift through the engagement of Divine Intervention. Flint/ETZNAB offers a crystal clear reflection of the Truth we didn’t see, or Truth that was covered up. Tone 8 is the number of “pure spirit.” Tone 8 represents the 8th hour of daylight, the Sun its zenith position. 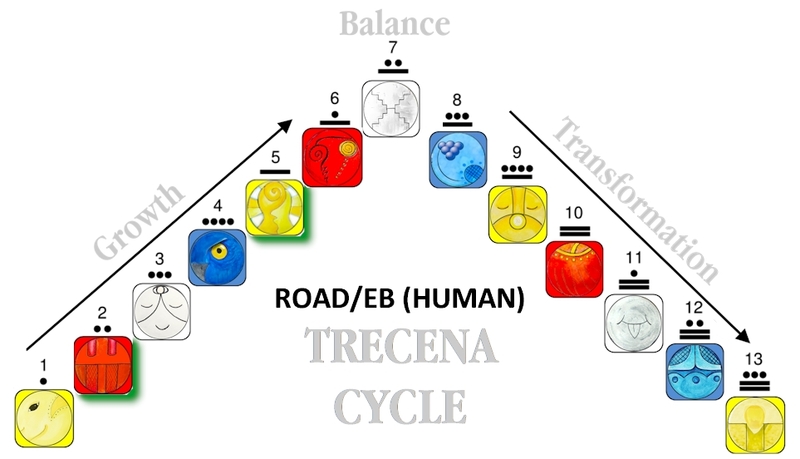 The Peak Energy of Tone 8 begins the transformation phase of the trecena, guided by an effort of Divine Intervention. Flint/ETZNAB offers revelation of Truth that can change our perspective. Flint’s purpose of Truth is to sweep away the false truth that stands in our way, a clearing away of the darkness. Flint/ETZNAB is known for bringing unexpected Truth. Flint’s primary intention is to expose the Light of Truth. We can learn from Flint that no matter what Truth we learn, Truth will always set us free. Flint’s Truth presents the facts of a matter. It can be Truth we already knew, but denied, or Truth we Knew but couldn’t believe. The core days of the Tzolk’in represent a time of recreating our self. A Creation that relies on Divine Guidance relies on our ability to rely on our own discernment of Divine Truth. Our ability to discern the Truth for our Self is the most important gift we would share with the new Seed of our Self. Claiming our Truth lies at the heart of our Power to Create. All our decisions are made on the Truth that we discern. Our creation will exist in the realm of the Unknown, until we see a Truth that we believe. The Truth central to creation is a Truth of whether our Dream is possible or impossible. If we don’t believe in the Truth of the possibility, we have nothing to stand on. We will only see a Dream that we may or may not be able to grasp. Creation is a matter of Believing in our power to manifest the Truth we intend to create. Flint/ETZNAB can reveal the True condition of our Heart. Flint is said to present us with the temptation to “act out of character.” This is not a day for impulsive action. The action we take without thinking, will reveal Truth of our unconscious thoughts. One of the characteristics of those born Flint is the Spiritual Gift of Knowing the Truth, discerning the Truth of others, and reflecting that Truth. One who presents false truth to Flint, stands naked in their attempt to cover up the real Truth. Flint can see right through any false truth presented by others. We can also see right through the false truths we’ve been telling our Self. Truth offers the discernment upon which we can move forward. When we don’t know the Truth, we’re not sure of our Self. The Truth we see creates a clear path forward. We were given the power to Know the Truth without any evidence. When the truth is not what we want to hear, we can lean on that lack of evidence to deny our own Truth. Truth can force us to change things we might otherwise avoid changing. We can lean on Truth we want to believe, instead of Truth as it is. Believing we can stay where we are is a false truth. We’ve seen enough Truth around us to know that things never stay as they are. The “sameness” we remember is already gone. We have no “easy chair” to return to. It belongs to a past that no longer exists. Flint/ETZNAB can help us see the Truth of perpetual evolution. We can be a part of guiding a new direction, or we can be swept up in the direction of false truth that is believed by the world around us. We are moving toward a new Creation of the world. We can believe in our own Truth and create our Dream, or live in a world that could lead to disharmony and inequity. Flint can help us see that a Creation based on false truth will have no legs to stand on, next to a Creation grounded in Divine Truth. The Meaning and Purpose of our Creation is the Creator’s Truth that will endure from the Beginning to the End. The Truth we can stand on was the Creator’s Intention that we are always empowered to Create a world of Love and Harmony. We all hold the same One Dream of living our lives in Peace and Happiness. We were Divinely Inspired to dream this world because it is possible. Flint is a day of the unexpected. The Truth that Flint presents is the Truth we need most to see. Flint’s Truth will make a difference in the way we see ourselves, others, and the circumstances around us. A reflection that has been stirred up will become clear. We alone have the Power to see what it is, as this Truth will be drawn from our unconscious thoughts that are drawn into the Light of our own Consciousness. Whatever it is, it will be a Truth important for us to Know so we could see the True Reflection of the world that holds the Highest Blessing for the Whole. I’m holding Faith that a reflection will become clear. As well as a “lightning strike of Truth,” Flint is capable to trigger a “stroke of Genius.” I think I reached my limit of Consciousness a couple of days ago. I think it’s what the Elders referred to as the place of “no mind.” I have had trouble making sense of these posts. I’ve been relying on the Intention instead of the content to somehow express my desire to offer something worthy – for both of us. I’ll have to come back after the core days to read these last days again, to remember what it said. Something about just keep going. LOL Maybe we’ve all been out on a limb. If so, at least I have good company. Let’s stand in agreement we get the “stroke of Genius.” The only Dream that seems important is the Happiness of the Whole. I don’t know how to be happy as a “have” when there are so many “have nots.” Earthly dreams for myself feel like a black hole. My heart goes out to the children, who are already treated as if they are forgotten. Women and children – ALL of Humanity – around the world has been suffering too long. Humanity deserves its Divine Justice to be seen by at least One generation on Earth. To all my relations, may we not be afraid of the Truth that is revealed, but acknowledge it as a gift of Empowerment. May we Know what Truth “feels like,” so when we Know it again without evidence, we’ll Believe in our own Truth. May we dismiss the false truth around us, like waving away a thought hung in mid-air, and stick to believing in a world where everyone sees the Light in each other, and everyone Sees the Beauty of Mother Earth as God’s living message, “I Love You.” May we give thanks for the Power of God’s Truth. May we Mark this Day as a Holy Day and Believing, observe everything that happens as the beginning of a Story of a Miracle. I’m grateful that Truth dispels Fear, and that the Real Truth is always better than the Fear of a false truth appearing real.